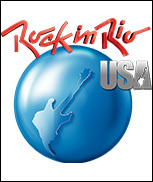 LAS VEGAS (CelebrityAccess) — Organizers have announced that tickets for the inaugural edition of Rock In Rio USA will go on sale Sept. 26th. The music festival is set to take place in Las Vegas from May 8-9 and May 15-16 on the Las Vegas Strip. A consortium including led by MGM Resorts and Cirque du Soleil previously announced plans to build an outdoor music venue Circus Circus resort and Sahara Avenue, to be called the City of Rock which will host the festival. Tickets for a one weekend pass cost $295 and an artist lineup for the festival has not been announced.